Thanks for sharing. Will be in contact in near future. Love it! 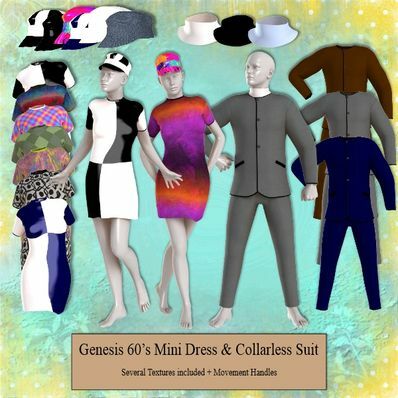 The mens collarless suit can go so well with a Japanese tunic with different textures, same for the ladies outfit, thanks so much! Love the hats, such detail. I specially love the men suit! !